At avery early age, I was introduced to alternative medicine as a part of my family culture, and have always felt my destiny was to be a naturopathic healer. As I matured along my journey, I experienced a traumatic sports injury to my shoulder and was introduced to acupuncture as a form of treatment. Within 3 months, I regained full mobility of my shoulder and continued to college level competition. I was sold out on acupuncture as an extremely effective modality for rehabilitation and bringing the body back to balance and health. 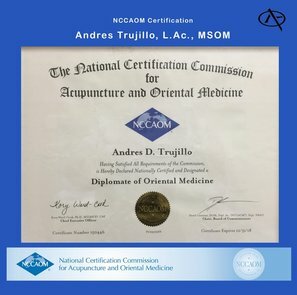 As a result, I became inspired to get my Master's of Science in Oriental Medicine and bring this powerful treatment to people in pain.